﻿ How to Develop a Social Media Strategy » Red Mango Marketing! Developing a social media strategy is the most effective way to use, and make the most of social media. It’s a detailed plan of everything you want to do on social media, to achieve a set goal, or goals. Are you just getting started with social media marketing, or wondering how to get the most out of it? Social media platforms offer many opportunities for a brand to grow and make an impact by creating a relatable brand personality, and connecting directly with customers. A good strategy can help you maximize the platforms you use, achieve set goals, rely on a strong step-by-step plan, and manage your social activities. Start by setting specific, and measurable social media objectives that align with your overall business goals. You can have one, or multiple objectives that are achievable, measurable, and relevant to you. It’s best to set one larger goal for everything you do on social media, and smaller goals for each campaign, or activity. Let’s say, your business offers clothing subscription boxes for men. Each month you send out three fashionable t-shirts to your subscribers. Your business goal is to drive more sales, and you plan to use social media to get more customers, increase brand awareness, and generate a buzz around your t-shirts. You start by creating Facebook Lead Ads, and promote them to increase reach and visibility. Then, to boost sales you create social media content that aims to showcase your subscription boxes as an affordable and convenient solution for dressing fashionably and looking great. You share this content on all the social media platforms you’re using. Tracking key social media metrics gives you a clear picture of how your social media efforts are working, whether you have achieved your goal, how you can strengthen your digital marketing strategy for future social activities. When you invest time in understanding the unique characteristics of your target audience you have a higher chance of converting social media followers into paying customers. Start by creating an audience profile, that describes your typical customer. Include everything from gender, age group, geographical location, occupation, spending behavior, to anything else that helps you picture your audience as real people. This helps you personalize your social media marketing, and make an impact. Using the right social media tools can help you answer key questions including: Which social media platforms are your target audience using? What kind of content are they engaging with? How are they interacting with brands? You will also gain other valuable insights into your audience’s behavior. Once you understand your audience, it becomes easier to know where to find them, how to talk to them, and how to engage them with your business. Continuing with our clothing subscription box example, let’s say the current audience for your service is working men of all age groups. However, you want to expand your target audience to include women who may be looking for gift ideas for men, and mothers with college-bound sons. Using social media analytics tools, you can dive deeper into understanding the buying behavior of these working men, women, and mothers – do they shop online, or look for brands with physical stores? What social channels do they use? Are they searching online by product name or by brand name? You can also learn about the kinds of products that generate high interest, like a specific style of t-shirt—solid, printed, logo, basic, affordable, stylish, or any other category that relates to t-shirts. Dive deeper to understand the pain points of your audience. Are they bothered by high prices, not getting the right size, confusing processes to place an order, or is there something else that is influencing their buying decision? Understanding all this will help you create a strong social media marketing strategy that is targeted, and personalized. You can then find the best platform for your business, create and promote ads to reach your consumers, and develop personalized marketing content that talks directly to your new audience. Your social media profiles are similar to a physical store that customers visit to know more about you, as well as business cards that help them get the information they need to do business with you. If you want people to be able to find you and get the right information you need to ensure that your social media profiles on each channel are updated, and compelling. Optimize your social media profiles by filling in the necessary business information like business name, contact details, product details, and everything about your business that is relevant for existing, and new customers. Use a keyword research tool, like Google keyword planner, to find how your customers are searching for your products. Then integrate relevant keywords into your social media profile descriptions, to make it easier for your customers to find you. Optimizing your social profiles with the right keywords helps you rank higher in search results. Finally, make sure that you use the correct image sizes for each platform, for your logo profile picture, and other images you need to complete your profile. It’s important to understand that each social media platform function differently, and you will need a distinct strategy for each. Most people go to Instagram to look at powerful images, whereas they use LinkedIn to find and network with professionals and brands from their industry. Facebook is the most popular platform for connecting with people and sharing thoughts and ideas, while YouTube is the source for informative and entertaining videos. Depending on the social media channels you choose to use, you must create strategies that cater to the demands from those platforms, and create compelling and relevant social media content for each. For example, if you’re using Twitter, Instagram, and Facebook to market your subscription boxes, you will need to vary your content and messaging for each channel. Your marketing strategy for Twitter can focus on building a larger following through informative posts about the benefits of subscription box services, whereas your Instagram approach would center on showcasing your t-shirt designs through creative videos and images. You might use Facebook to acquire more customers through lead generation ads. While the overall goal for your social media strategy is to drive more sales, the type of content you create for an individual channel will depend on the characteristics of the channel and what specifically you are trying to achieve with your campaigns within that channel. 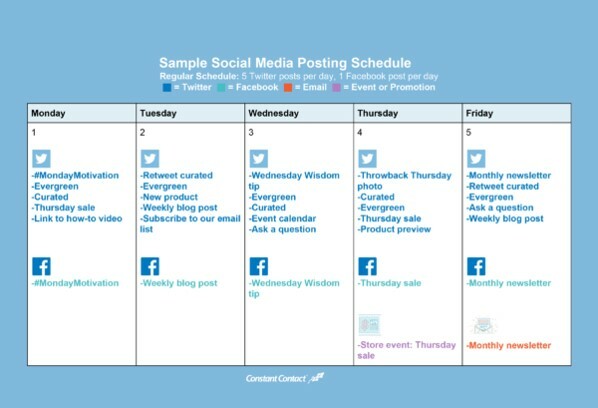 Creating a social calendar ensures that you’re consistent with your posting schedule. Depending on the number of posts you plan to share in a week, create a monthly calendar with details of what will be posted, and when. Every social media platform has an insights tool that can help you refine your social activities. Using these insights you can determine the best time to post content to catch the attention of your audience and generate maximum engagement. Creating a detailed calendar also enables automating the posting process through a social media scheduling tool. It also gives you enough time to create multiple engaging, creative, and diverse social media posts, to be more efficient and timely with your posting schedule. Having a social media strategy is important, but what is even more important is to iterate the strategy continuously. Social media trends keep changing, and so do your target audience’s needs. Using social media tools for discovery can make you aware of the latest trends, and keep pace with what your target audience is looking for. You can then re-think your social media strategy to best serve the interests, and needs of your target audience. As your business and social media goals change, your social media strategy also needs to evolve. You may want to consider using more social platforms, start or increase using social paid ads, bring in new tools to make your marketing efforts more efficient, or simply increase the number of posts you publish each month. The idea is to keep thinking of new ways to strengthen your social media content strategy. Every business wants to be on social media, but winning at it takes time, effort, and the right resources. A well-detailed social media strategy that aligns with your business goals, is based on customer and industry data, and addresses your target audience’s pain points can make your business get noticed, and create a social media impact. Take your business social, with a strong social media plan and strategy. 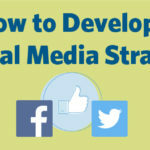 The post How to Develop a Social Media Strategy appeared first on Constant Contact Blogs. This entry was posted on Monday, April 8th, 2019 at 12:41 pm	and is filed under News & Updates, Social Media Marketing. You can follow any responses to this entry through the RSS 2.0 feed. Both comments and pings are currently closed.